This is a quick and easy one. I came across a virtual appliance the other day that had an expired certificate. When you click Next you’ll get an error saying the package is signed with an invalid certificate. You’ll then be able to deploy the appliance without it barfing. Remember, though, that this is a bit of a rough workaround, and you should really contact the appliance vendor in the first instance as they’ll likely be keen to fix the issue. In my case I was able to continue with my testing while the vendor went ahead and fixed things on their side. Eric Siebert has opened up voting for the Top vBlog 2017. I’m listed on the vLaunchpad under the top 100, and you can vote for me under storage and independent blog categories as well. I climbed the heady heights to number 78 last year. So thanks to my mother for voting for me. You can go directly to the voting survey here. There are a bunch of great blogs listed on Eric’s vLaunchpad, so if nothing else you may discover someone you haven’t heard of before, and chances are they’ll have something to say that’s worth hearing. Or reading. Look, you know what I mean. If this stuff seems a bit needy, it is. But it’s also nice to have people actually acknowledging what you’re doing. This all means nothing without your validation. Eric Siebert recently published (okay, fine, it was three weeks ago) the full results of the Top vBlog voting. I was pleased to find I’d made a jump up from last year. I’ve previously changed my tune on asking for votes in this competition, not because I don’t think it’s a good bit of fun, but I think there’re a bunch of other bloggers you should be voting for. A few people like to huff and puff about it being a popularity contest, but if nothing else I’ve found these types of lists (and Eric’s site in general) to be extremely useful when tracking down links to things on the internet that I know I need but can’t remember how I googled them in the first place. A lot of work goes into the site, so thanks Eric, and please keep it up! Thanks also to anyone who did throw a vote my way, I do actually appreciate it. I’ve been using Ravello a bit recently, thanks primarily to their kind offer of free time for vExperts. I thought it would be worth while doing a few posts on what you need to do to get started. While this information is available via a number of sources already, I thought I’d update it a little to reflect the steps required when using the latest version of the dashboard and ESXi 6. Documentation is also a good way for me to learn things, and it’s my blog so I can afford to be self-indulgent. In any case, the original steps I followed are here. The article I did is available here. Justin Warren did a nice series on using Ravello, and his post on “How To Import OVA/OVF Into Ravello” was particularly useful. Emad Younis also has an excellent article on deploying the vCenter Server Appliance 6 on Ravello – you can read it here. I like what Ravello does, so much so that I put a little badge on my blog. And I think there’s a crapload of cool use cases for this technology. If you’re a vExpert and not taking advantage of Ravello’s offer – what’s wrong with you? Get on there and check it out. As part of a recent vSphere 5.5 deployment, I installed a small vSphere Replication 5.8 proof-of-concept for the customer to trial site-to-site replication and get their minds around how they can do some simple DR activities. The appliance is fairly simple to deploy, so I thought I’d just provide a few links to articles that I found useful. Firstly, esxi-guy has a very useful soup-to-nuts post on the steps required to deploy a replication environment, and the steps to recover a VM. You can check it out here. Secondly, here’s a link to the official vSphere Replication documentation in PDF and eBook formats – just the sort of thing you’ll want to read while on the treadmill or sitting on the bus on the way home from the salt mines. Finally, if you’re working in an environment that has a number of firewalls in play, this list of ports you need to open is pretty handy. One problem we did have was that we’d forgotten what the password was on the appliance we’d deployed at each site. I’m not the greatest cracker in any case, and so we agreed that re-deploying the appliance would be the simplest course of action. So I deleted the VM at each site and went through the “Deploy from OVF” thing again. The only thing of note that happened was that it warned me I had previously deployed a vSphere Replication instance with that name and IP address previously, and that I should get rid of the stale version. I did that at each site and then joined them together again and was good to go. I’m now trying to convince the customer that SRM might be of some use to them too. But baby steps, right? Note also that, if you want to deploy additional vSphere Replication VMs to assist with load-balancing in your environment, you need to use the vSphere_Replication_AddOn_OVF10.ovf file for the additional appliances. VMware – SRM 5.8 – You had one job! A colleague of mine has been doing some data centre failover testing for a customer recently and ran into an issue with VMware’s Site Recovery Manager (SRM) 5.8 running on vSphere 5.5 U2. When attempting to perform a recovery, and you’re running Linked Mode, and the protected site is off-line, the recovery may fail. The upshot of this is “The user is unable to perform a recovery at the recovery site, in the event of a DR scenario”. Here’s what it looks like. You can read more about the problem in this VMware KB article: Performing a Recovery using the Web Client in VMware vCenter Site Recovery Manager 5.8 reports the error: Failed to connect Site Recovery Manager Server(s). In short, there’s a PowerShell script you can run to make the recovery happen. I don’t know what to say about this. I’d like to put the boot into whomever at VMware is responsible for this SNAFU, but I’m guessing that they’ve already had a hard time of it. At least, I guess, there’s a workaround, if not a fix. But you’d be a bit upset if this happened for the first time during a real failover. But that’s why we test before we handover. And what is it with everything going pear-shaped when Linked Mode is in use? 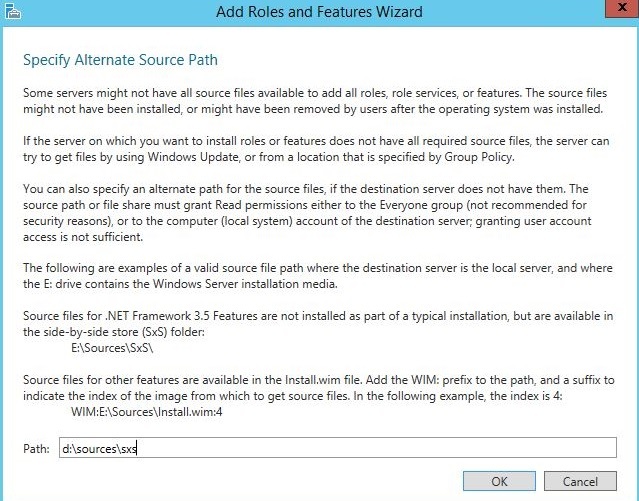 Marcel van den Berg recently pointed out that updating to SRM 5.8.1 resolves this issue. Further detail can be found here.